Eliane Alhadeff, owner at FUTURE-MAKING SERIOUS GAMES, is acknowledged worldwide as a thought-leader in the fast-growing Serious Game Market. Author of the SERIOUS GAME MARKET, SERIOUS GAMES EXPERTS & FUTURE-MAKING SERIOUS GAMES blogs, and guest author @ FUTURELAB’S MARKETING & STRATEGY INNOVATION blog in the UK, her last twelve years modeling of the Serious Games space has illuminated the path forward and provided much-needed valuable insights for organizations introducing Serious Games & Simulations to make a company's value proposition more compelling. Recognized as having an abundance of knowledge and a firm understanding of how games are being utilized for education & contextual learning, consumer engagement & customer retention, Alhadeff has become an Industry evaluator for the SERIOUS GAMES SHOWCASE & CHALLENGE (SGS&C) that occurs at each year's I/ITSEC (Interservice/Industry Training & Simulation Conference) in the U.S. - the world's largest modeling & simulation event. The SGS&C incorporates evaluation teams from Industry, Academia and Government. Alhadeff is also a judge for the INTERNATIONAL SERIOUS PLAY AWARDS, a competition that gathers top-tier academic, business and government leaders at the forefront of serious game development. 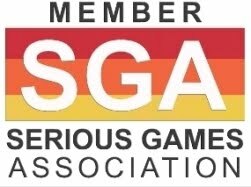 Winners are announced annually as part of SGA - Serious Games Association’s U.S. conference. In 2015, Alhadeff joined the SGA ADVISORY BOARD to support the global serious games community with educational conferences, research and special interest groups. Eliane Alhadeff earned a Master degree in Business Administration (MBA) from COPPEAD and a Bachelor degree in Architecture + Urbanism (BArch) from Rio de Janeiro Federal University – UFRJ. She is passionate about exploring how entertainment and games can be used for building a better future. Her personal credo: If you want to change the future, play it first! Kent Gritton - Director, Joint Training Integration and Evaluation Center, Orlando, Florida Area, US. JTIEC is the entity to foster training and M&S collaboration, or “jointness”, for US Joint commands and Other Government Agencies. Clark Aldrich - American author and practitioner in the field of educational simulations and serious games for education and professional skills. His published research, beginning in 1999, outlined the failure of formal education approaches to teach leadership, innovation, and other strategic skills, and then advocated interactive experiences borrowing techniques from current computer games as media to fill these gaps. Serious Games Blogger, Serious Games Modeling & Evaluation. Established in 2001 in Brazil to provide learning solutions for large corporations, e-Guru has been developing corporate solutions that make use of game-based approach and technology. 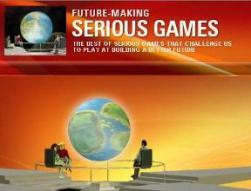 e-Guru employs Serious Games as a means to ensure content retention by simulating everyday work situations. The methodology developed and adopted by e-Guru can be applied to Sales Force Training, Induction Programs, Business Games, Coaching and Feedback, Company Policies, Recruitment Games and Competency Diagnosis, Product Presentation and more recently Consumer Engagement & Customer Retention. "New Ways of Working", in the context of Global Office modeling, was a major Shell Project bringing together people, processes and technology to create one global platform for virtual teamwork worldwide. Futurelab team is composed by Associates, Alliances and Blog Contributors. Eliane Alhadeff is a contributor to Futurelab's Marketing & Strategy Innovation Blog. JA Be Entrepreneurial, a high school program, focuses on challenging students, through interactive classroom activities, to start their own entrepreneurial venture while still in high school. One of ten JA programs designed with the specific needs of upper grade students in mind, JA Be Entrepreneurial provides useful, practical content to assist students to transition into becoming productive, contributing members of society.